Roller blinds are one of the most popular and enduring styles of window treatments. They complement both modern and traditional decors and add a stylish touch to any room. Roller blind fabrics can be sheer fabrics that soften the window whilst retaining an attractive view, translucent fabrics that provide filtered light and privacy and full block out fabrics that control light and heat. Used alone, in pairs or combined with curtains, roller blinds are a truly versatile solution for any window. The Verosol ambience roller blind offers a robust system suitable for both commercial and residential use. This system incorporates many of the more advanced features but at an affordable price. 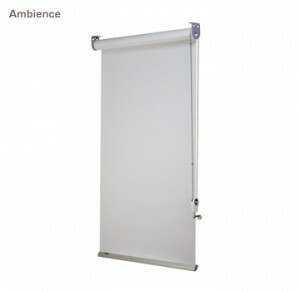 The ambience roller blind is available as a heavy duty system primarily for large chain operated sizes. The Verosol ambience twin roller blind incorporates two ambience roller blinds housed together within the one bracket. 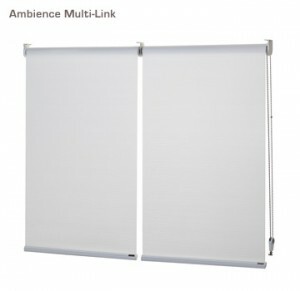 Both blinds are independently operated by chain controls or motorisation. The ambience twin roller blind can be made using any combination of Verosol roller fabrics. Select a block out for privacy and light control, a transluscent for light filtration and privacy or a semi-transparent fabric to retain the view outside. 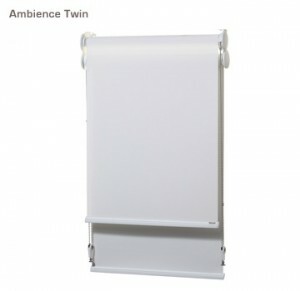 The ambience twin roller is also available as a twin multi-link system. The Verosol ambience multi-link roller blind system allows you to operate multiple blinds for larger window spans with a single chain, eliminating unsightly cords. The result is better light control, greater privacy, uninterrupted views and indoor & outdoor accessibility. The system is also available as motorised, with one tubular motor driving multiple sections. 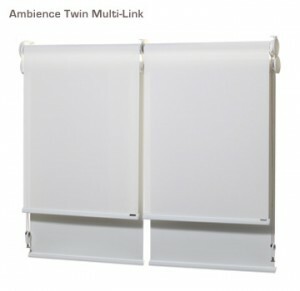 It is also available as a uni-joint link system for linking blinds on angles and as a heavy duty multi-link system. 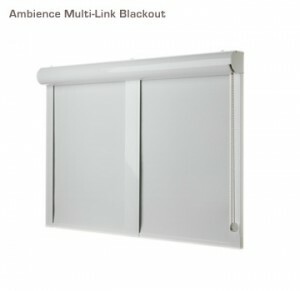 The Verosol ambience blackout roller blind is a robust system that is suitable for both commercial and residential use and can be operated by chain or motor. It is ideal for use wherever total privacy is required, such as home theatres, conference rooms and bedrooms. 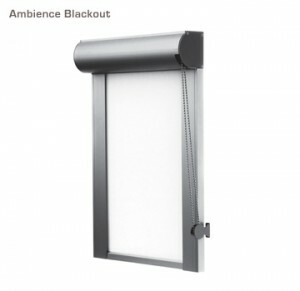 The ambience blackout roller system is supplied compelte with cassette style head box and blackout side channels. The blackout system is also available as a blackout multi-link system. The Verosol mode roller blind is Verosol’s premium roller product, incorporating a counter balancing spring which provides exceptional ease in manual operation. The Mode system is ideal for blinds with long drops. Stainless steel chain and metal componentry in a brushed alloy finish provides an elegant, sleek and modern look. The Verosol mode one touch roller blind is a truly unique piece of engineering. The One Touch chain mechanism allows the blind to be raised with one simple touch of the control chain. The One Touch chain mechanism is assisted by a counter balancing spring and unique oil braking mechanism, ensuring smooth and effortless operation. 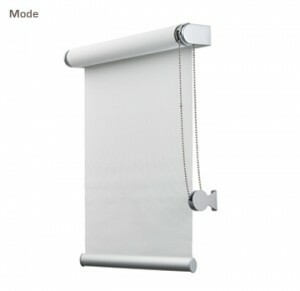 The Verosol mode autostop roller blind incorporates spring balancing control with a unique oil braking mechanism which ensures smooth and consistent operation at all times when raising and lowering the blinds. The auto stop feature allows the blind to automatically stop in a pre-determined position when raising the blind. The Verosol mode skylight roller blind is an alternative to skylight/conservatory pleated blind. Please refer to the use, care & maintenance of Verosol roller blinds information sheet for more information on how to get the most from your roller blinds. Helioscreen manufactures a quality range of roller blind solutions that rival the industry’s best. See the Helioscreen roller blind brochure for more information. Helioscreen forged their reputation in the architectural and design sector as a leader in commercial grade roller blind solutions that suit high end large scale residential applications equally well.